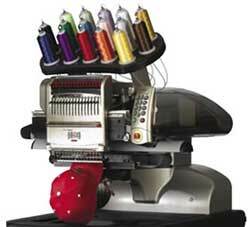 Countrywide Embroidery & Clothing can give you a personalised professional look. If you are a company with an existing logo that you want put on a shirt, hat or virtually anything, we can do it. Our industrial machine embroidery and custom embroidery (with professional digitizing) will give you a superior look and feel. We use name brand apparel, professional embroidery equipment, and only the best quality thread for our custom embroidery and digitizing.